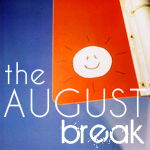 The August Break challenge is all about using the month of August to learn how to live in the moment and documenting that moment in photos. I have thoroughly enjoyed this break so far! In addition to this photo documentary focus, I discovered another monthly challenge to join while reading Belle’s post yesterday: Laurie Halse Anderson’s WFMAD challenge (Write Fifteen Minutes a Day). I have yet to develop a writing routine and summer is nearly over. I decided that it is either time to put up – or shut up, as the old saying goes. Fifteen minutes a day is nothing, right? And if a very well-respected, bestselling author is endorsing this challenge I would be a fool not to hop on this bandwagon. I had not even heard of Vera Bradley until last year when I was preparing for BEA and all the tweets were about the new VB bags purchased for the occasion. While I like to pride myself on having a mind of my own and a healthy dose of will-power, I am apparently easily swayed by popular opinion. So….yesterday I decide to visit the store for the open to noon promotion: the All-in-One Wristlet for $20 (regular price $32). That is nearly 40% off and this is actually one of the three VB items that I own and use. I immediately thought of the possibility of Christmas gifts. When I arrived at 11:35 the store was definitely crowded, but the selection of wristlets was still good and I decided to purchase only one (rather than three for each of my “girls”) for Christmas. I left the store feeling very proud that I did not over-buy, that I found a great “bargain”, and that I purchased a Christmas gift before Labor Day. However…..the seed of temptation had been planted deep within my brain and before I arrived home I had already plotted my return visit later that afternoon when the Mailbag would be on sale for $49 (retail value $68) AND it included a FREE mini-zip wallet (retail value $27). OH MY! This was an even better deal than the wristlet. I like the idea that the mailbag can be slung across your shoulder (alleviating some of the uneven distribution of weight and causing severe shoulder pain when lugging around half my possessions on a weekend trip). So, at 5:00pm I was on my way to the store — again. It certainly did not help matters that my daughter and her friend were there: Megan having already purchased the mailbag special and lauding its versatility and her friend declaring that it is her most favorite VB bag in the collection. I had twenty minutes to decide and the checkout line was getting longer by the second. Soon my hands began to sweat. If I was going to take advantage of this most amazing special then I needed to make up my mind quickly. Which fabric pattern? Would I really use the purse around town (or simply for those future vacation trips that are not even a remote possibility for the next several months/years)? Do I really like the wallet style? Fifteen more minutes….oh no…what do I do? Would I regret the purchase decision once I got home – or would I regret not saving all that money? Ten more minutes, it was going to have to be either now or never….. I decided to forgo the “bargain” I really did not like the wallet (so the savings of $27 was not accurate) and I just wasn’t sure the mailbag was the right handbag for me. Well, I certainly felt better. I looked temptation in the eye and said “NO THANK YOU” I was feeling quite proud of myself for the second time that day. But wait…..the final special of the day was indeed the best. For from 6:00 to close you could choose any one item in the store for 20% off! I tell you, at 6:01 the women literally came out of the woodwork! The store was busy at 5:59 — it was impossible to move at 6:01. The line formed at the cash register and snaked down one side of the store, across the front doors, down the other side of the store, and to the far back! I do not exaggerate – I bet there were over 75 women (many with their school age daughters) waiting to take advantage of the sale. I am not sure if it was the lack of oxygen in the store, the hypnotic effect of the fabric patterns, or the pull of mob mentality, but suddenly I found myself transformed. I was no longer the strong-willed, independent women who cares less about fashion; I was this VB connoisseur who helped others make purchase decisions (I notice a lot of women today are selecting that bag for their child’s lunch), who envisioned my wardrobe filled with all styles of VB purses (the Knot Just a Clutch in the Night and Day print would be the perfect accessory for those rare times that Geoff and I dress up for a night on the town; the Mini Hipster in Hello Dahlia is the perfect little bag for those European trips I plan to next within the next decade), who somehow miraculously had memorized not only all the different handbag styles, but all the festive names of the fabrics: Very Berry Paisley – Symphony in Hue – Poppy Fields. The names are so whimsical and the colors so vibrant and full of life that that you can’t help but smile and feel good about the world. Suddenly spending upwards of $80 for a purse seems reasonable (this coming from a woman who hesitates to spend $12 on sale). For, after all, you can’t put a price tag on happiness, can you? Before I know it, I have stood in line 50 minutes and it is my turn to check out. 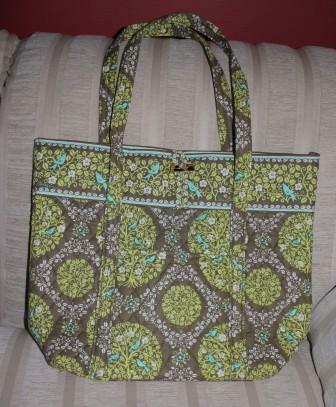 In a rather zombie-like state I notice that I have handed the cashier the Vera bag in Sittin’ in a Tree fabric and have gladly allowed her to charge my card the $72 retail price – minus 20% of course! I gratefully take the package from her and make my way to the front door. Once outside I take a seat on the park bench and begin to catch my breath. I am a little light headed and decide to take it easy. Slowly I return to my senses….WHAT HAVE I JUST DONE?! Instant buyer’s remorse hits me like a ton of bricks. “I can’t afford this?” “What on earth do I need with another book bag? — Sure, I’ll use it for school and it will be great as a carry-on bag for all those adventurous European vacations I will take – but did I really NEED it now?” Of course not. And so now today’s focus will be: Do I return the bag and chalk up the experience to temporary insanity – or do I keep the bag and use it as a constant reminder of the power of mob mentality? Oooo! I love that bag! Third option – you let me buy it from you:) Let me know! If you're really not happy with it, I say return it. I have two Vera purses – I love one, but don't really care for the other. Ooh, Vera Bradley…trust me, I can get sucked into those products… strictly divine, but you have to get the right one that fits you! I like it! I hate it when my "bargain brain" takes over and I buy stuff just because it is a good deal. It's a beautiful bag, but I would be feeling the same way you do today. Oh Molly, I can so relate to your story. I think you should keep the bag (me, being a bad influence). You had a wonderful experience shopping and should be rewarded, right? I LOVE VB…I am all about the little backpacks. My hands are free, and I can fit my netbook, and regular book and my wallet in it, plus other little stuff. I say keep it – you will love it. It gets dirty, you just throw it in the laundry. I LOVE V.B Bags and accessories. I have the all in One Wristlet and LOVE it. The Black and white Day and Night pattern, and also have the matching Mail Bag. (I also have a super tote, perfect for travel in Purple Punch). Enjoy your purchases Guilt Free. I would think any of the larger totes would be great for a teacher or librarian. 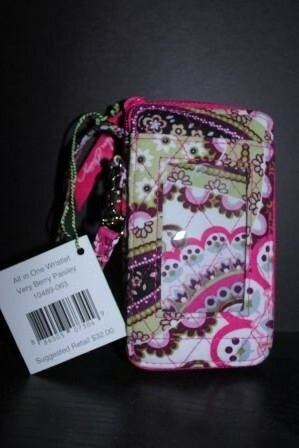 OMG … I worked with a girl who was OBSESSED with Vera Bradley. Obsessed. She had scads of them to coordinate with every outfit she owned. Full sets of luggage. Make-up cases. It was insanity. Since then, I've always associated Vera Bradley with crazy people!!! Maybe it is colors and the patterns that hypnotize you. Or it could have been my co-worker. She had a "thing" for Longaberger baskets too. Her poor husband … she had expensive taste. I loved this post Molly. I smiled all the way through it. I actually have a couple of VB bags. I use them for knitting. I've been in the same "pressure-to-buy" experience as you had and I know how easy it is to get caught up. If I were in your shoes, I'd keep the bag. You deserve something special, plus, a Vera Bradley bag is an investment. They only get more valuable unless you completely trash it. Oh this post made me laugh. If you can get your money back, go for it! My vote is to keep it —- I love Vera Bradley bags and hope to someday gather my courage and buy one….I'm so jealous! You only live once…if you love the handbag, keep it. Be happy! I've never regretted a VB purchase ever!